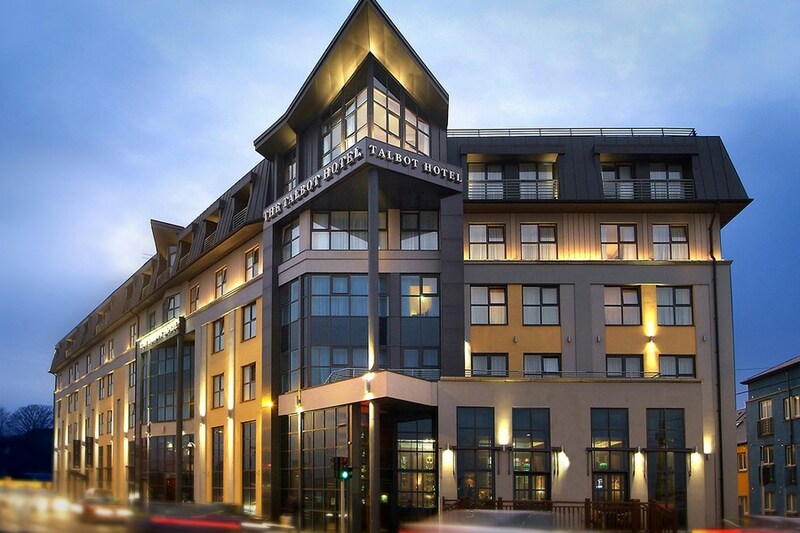 The Talbot Hotel Wexford is ideally located in the Heart of Wexford Town. 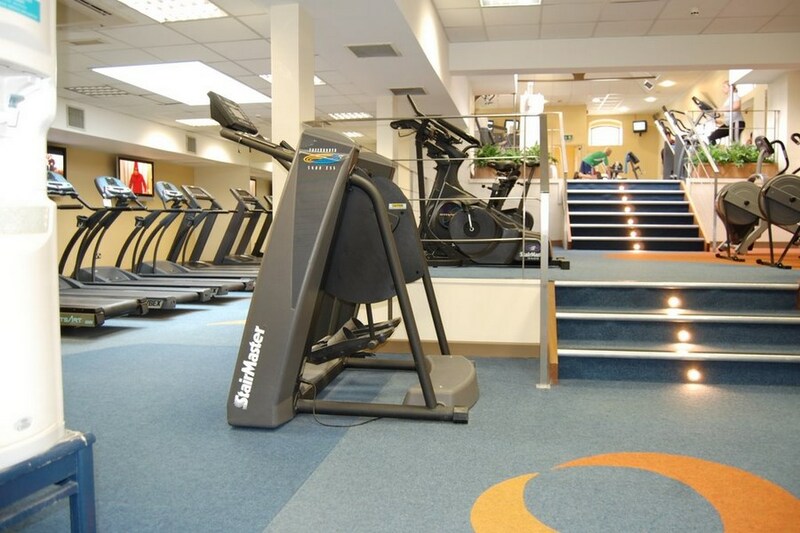 This is one of the finest Hotels in Wexford and is equipped with Restaurant, Bar, Conference Centre and a fully equipped Leisure Centre and Swimming Pool. The Hotel is on the Quay Wexford town. I spent three nights at the Talbot hotel - we were two adults and two young children. We certainly enjoyed our time there. Good options for food, the standard of which was pretty good all round. Breakfast was particularly good. Swimming pool was very handy and never too busy. Down side might be the hotel was very full generally, so that the best seats in foyer, bar are generally taken. Wine was very expensive, but everything else was good value. My wife and I stayed at the Talbot Hotel Wexford on Sunday 19 March 2017. Package: Bed and Breakfast plus one evening meal. Bedroom was OK, apart from poor broadband (signal kept crashing) Breakfast was fine. Evening meal (main course) was very poor. We had beef, very tough, apparently re-heated and cooked probably for lunch earlier in the day. Starter and dessert was OK. Staff were friendly and offered to change main course. We stayed there before and quality of food seems to be a "hit and miss" If we stay again, we will probably avoid having an evening meal in the hotel. We couldn't fault the staff, all of them were lovely. The room, however, left a lot to be desired. There was a smell as you entered like something damp had been left in the wardrobe! Not pleasant. The bed I was surprised to find was a 4 foot 6 inch standard double bed not the usual 5 foot expected of a four star hotel! We had booked for three nights, if it was just the one I would have said nothing. When I requested a move to another room, I was told the hotel was full but that she would see what she could do. But nothing could be done! I still expected a manager/supervisor to check the room and ask if we were okay! But nothing. Not four star accommodation by a long stretch. The dinner on Tuesday night was gorgeous. The kitchen went out of their way to accommodate a fussy eater (me!) I ordered the whiting from the menu but without the peas or potatoes just a salad, it was exceptional. Thank you. Catering for a full hotel when renovating the restaurant is a difficult task and while dinner worked well breakfast did not. The full Irish was cold, under cooked and queues even at quiet times were long. Not sure I would go back to stay, maybe for dinner! Three Stars like their hotel should be definitely not Four. Had a great weekend staying at this hotel . Had a room with lovely view onto sea front. Very comfortable and clean. Great location, friendly staff. We were given a family room although we had only requested a double room with a cot. Our room had a lovely view of the sea. Can't really complain here. Stayed in the Talbot hotel on Thursday night as a treat to celebrate my 40th birthday- while the hotel was fantastic we got no sleep as the people in the room next door were shouting most of the night and child crying - at 1 stage they put the child outside the door and left to cry - at 06:40 we had enough as at this stage the noise had woken my 2 kids I rang reception to complain as was told that the porter would check this out - we finally got back to sleep after 7. when we went to pay the following morning my husband mentioned it to the receptionist whose response was nothing she could do about it 1 of these things - I thought her attitude was very flippant and would be a factor on whether I would return to the hotel or not in the future. The Talbot is a lovely hotel. Very central to everything. The staff are really friendly and helpful. We stayed one night and had a great time. Wexford is excellent for shopping, eating and socialising . Nice hotel with a great location. Very good food and friendly staff. The Talbot Wexford impressed me with it's relaxed atmosphere. The staff were friendly and professional. 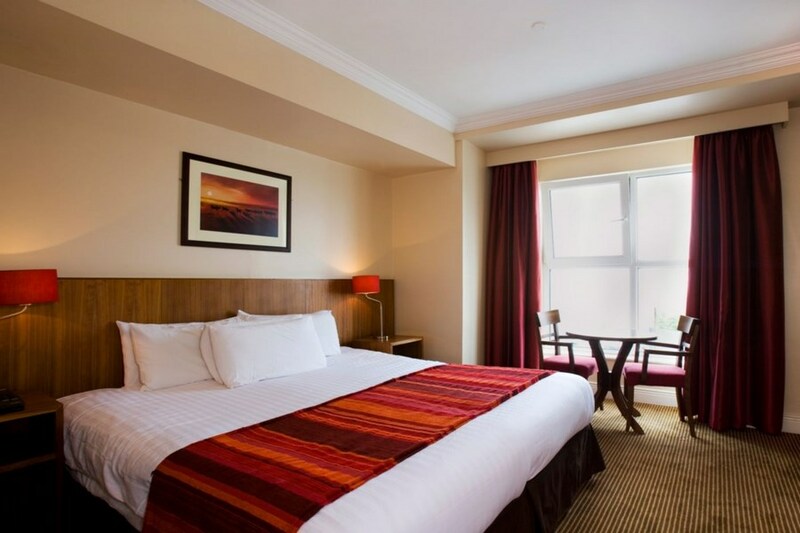 The food was faultless, and the room I stayed in was very clean and comfortable, such good value, and there was midweek entertainment to boot. I also had a beauty treatment in one of the Talbot's beauty rooms, the therapist was excellent. I cannot rate this hotel highly enough, and hope to return soon. Our stay at the Talbot Wexford Hotel for two nights form 19th February to 21st February 2016 was very enjoyable. On our arrival we found the reception staff very friendly and they made us feel most welcome. We ate in the hotel on Friday and Saturday night and found the food to be delicious. We did not need to leave the hotel for entertainment as there was live music on both nights which we found most enjoyable. The room was lovely and we had a beautiful view of the harbour from our window. The next time we return to Wexford we would definitely consider staying at the Talbot Wexford Hotel again as we had a great time and found all the staff to be very helpful and attentive. We had a very enjoyable night last Friday in The Talbot Hotel. Beautiful meal, very friendly and helpful staff. We had great fun in the bar afterwards with the musician. He was wonderful and very entertaining. I will definitely be back again. I booked a family room for one night for me and my two girls aged (10,13). We received a warm welcome when we arrived by the reception staff. The hotel is situated right at the end of the main road overlooking the sea with lots of free parking. The room was very large with plenty space for the girls to spread themselves out. The room was very clean and stylish. My daughters liked the fact that they could use the wifi. The girls loved the fact the swimming pool was available to them as the weather was very bad during our stay. I would highly recommend this hotel. I look forward to returning in the near future. Lovely hotel. Bedroom needs a revamp. Furniture has seen better days. Bathroom could also do with a bit of care, tiles cracked and other little details not up to scratch. Food was excellent and the staff were lovely really friendly and courtious. hotel bar and lobby lovely food good, but roomdissapointing, would not like to be staying more than one night in it. We had a one night break here and it was great value. Staff were friendly. Room was spacious. Breakfast was pleasant. Have stayed here before and would return. Wexford is a nice town for a break. Had a very enjoyable stay in the Talbot Hotel, facilities excellent and staff were more than helpful. Nice hotel and staff. Room a bit dated and I didn't get the best view. Good value though. I really enjoyed our time in Talbot, very good deal. The restaurant was v nice and the food excellent. The staff are v friendly and helpful. We stayed on a very warm day and found out bedroom v hot and stuffy. We had no air condition and were right beside kitchen fan outside. Otherwise the room was very comfortable and clean. Overall a lovely break. The service and hotel were fantastic! Great location for the centre but not too close! Can't recommend it enough! We greatly enjoyed our stay at the talbot hotel : the view was lovely, the bedroom and bathroom quite comfortable, the food excellent and the people very helpful all day long (i asked for a pina colada and the waiter brought the perfect one which is pretty rare). The hotel is right in the middle of the town so shopping was quite easy but closed to the town exits which permit us to visit quite more places than we hoped. We will certainly come back soon and this time we will enjoy the pool. Nice hotel.... friendly staff. Probably not really a 4 star but very clean and comfortable. Right in the town and nice sea views. Great entertainment in the bar on the Saturday night. Really enjoyed the weekend. Great stay in the talbot hotel, very easy check-in on arrival, lovely rooms, fantastic power shower, great range of food for breakfast, definitely will be returning.